The Jesuit paleontologist Pierre Teilhard de Chardin is a beacon for this book, and especially in my reflections on hope. In life, he joined intellectual rigor, scientific discovery, and an adventurous, expansive view of the human spirit. “An interpretation of the universe,” he wrote, “remains unsatisfying unless it covers the interior as well as the exterior of things; mind as well as matter.” While he was excavating the primitive “Peking man” fossil in China, he imagined future humanity excavating the modern human psyche and spirit — and seeing it revealed as primitive. He foresaw that we would overlay the biosphere with the noosphere — the realm of human intelligence, information, and action. He predicted, that is, something like the Internet. He believed that the noosphere would drive the next stage of evolution — an evolution of spirit and consciousness. This is a grand and exciting vision for imagining the long-term stakes of what we might be fermenting now. But Teilhard thought in slow, deep, geologic time, and so must we. A long view of time can replenish our sense of ourselves and the world. We are in the adolescence of our species, not by any measure in full possession of our powers. The twenty-first-century globe resembles the understanding we now have of the teenage brain: dramatically uneven; immensely powerful and creative at times and in places, reckless and destructive in others. In America, many features of national public life are also better suited to adolescence than to adulthood. We don’t do things adults learn to do, like calm ourselves, and become less narcissistic. Much of politics and media sends us in the opposite, infantilizing direction. We reduce great questions of meaning and morality to “issues” and simplify them to two sides, allowing pundits and partisans to frame them in irreconcilable extremes. But most of us don’t see the world this way, and it’s not the way the world actually works. I’m not sure there’s such a thing as the cultural “center,” or that it’s very interesting if it exists. But left of center and right of center, in the expansive middle and heart of our life together, most of us have some questions left alongside our answers, some curiosity alongside our convictions. This book is for people who want to take up the great questions of our time with imagination and courage, to nurture new realities in the spaces we inhabit, and to do so expectantly and with joy. I have yet to meet a wise person who doesn’t know how to find some joy even in the midst of what is hard, and to smile and laugh easily, including at oneself. A sense of humor is high on my list of virtues, in interplay with humility and compassion and a capacity to change when that is the right thing to do. It’s one of those virtues that softens us for all the others. Desmond Tutu, whom I found impossible to doubt, says that God has a sense of humor. There is science helping us to see a sense of humor in the brain as an expression of creativity, making unlikely connections and leaning into them with joy. So I hope and trust that a smile in the voice may sometimes rise from these pages. And I do bring many voices along with me here, snatches of conversation completing and informing my thoughts, as they do all the time in my life and work. I’m not surprised by the fact that inexplicable and terrible things happen in a cosmos as complicated as ours, with sentient beings like us running the show. But I am emboldened by the fact that surprise is the only constant. We are never really running the show, never really in control, and nothing will go quite as we imagined it. Our highest ambitions will be off, but so will our worst prognostications. I am emboldened by the puzzling, redemptive truth to which each and every one of my conversations has added nuance, that we are made by what would break us. Birth itself is a triumph through a bloody, treacherous process. We only learn to walk when we risk falling down, and this equation holds — with commensurately more complex dynamics — our whole lives long. I have heard endless variations on this theme — the battle with illness that saves the life that follows; the childhood pain that leads to vocation; the disability that opens into wholeness and a presence to the hidden wholeness of others. You have your own stories, the dramatic and more ordinary moments where what has gone wrong becomes an opening to more of yourself and part of your gift to the world. This is the beginning of wisdom. And what is true for individuals is true for peoples. Our problems are not more harrowing than the ravaging depressions and wars of a century ago. But our economic, demographic, and ecological challenges are in fact existential. I think we sense this in our bones, though it’s not a story with commonly agreed-upon contours. Our global crises, the magnitude of the stakes for which we are playing, could signal the end of civilization as we’ve known it. Or they might be precisely the impetus human beings perversely need to do the real work at hand: to directly and wisely address the human condition and begin to grow it up. Introverts are not failed extroverts. We simply have our own way of interacting (or, sometimes, not) with the world. Introvert fun is quiet, contemplative, and often experienced in solitude. It frequently relates to our environment. A peaceful place is conducive to our kind of fun. So is a slowed pace. And time. We like quiet sports that let us get into our thoughts, sports that can be enjoyed alone or with other like-minded quiet types: hiking, biking, kayaking, mountain climbing. We like being near water. We like swimming. “At my first lesson, my teacher cautioned me that swimming was a solitary sport—as if that were a drawback—and all I thought was ‘Great!’” one introvert said. We like walking—in the woods, around the neighborhood, with a dog or without, with music or without. We don’t mind walking with a friend now and then, as a way to have a nice visit. We like yoga and meditation. We like reading. “Sometimes I even send the dog to ‘camp’ for a weekend so I can read all day,” said one introvert. We like coffee shops, either for a cozy visit with friends or as a place to recharge. “After spending two or three hours in a coffee shop reading, I feel relaxed and completely restored,” said another introvert. We like a long lunch with a good friend, or small dinner parties involving wine and conversation. We like long, deep, self-absorbed, self-analytical, navel-gazing conversations with a close friend. A similarly disposed friend and I once took a weekend trip together and by the end of it, our jaws actually ached from so much talking. It was twenty-two hours of deep, intimate soul baring. It was great. We like theaters, where we may sit quietly and nourish our brains. I’m not really a film buff, but I love sitting in the dark and being transported. Going to movies alone is deliciously indulgent. Going alone during the day is so much fun it’s practically wicked. We like knitting, sewing, drawing, writing. We enjoy the concentration these require, and the creative outlet. We like making PowerPoint presentations—or at least one of us does. “I find I really get caught up in this and enjoy making it look good,” said one introvert. We like art galleries and museums. We like parks, where we can walk or sit and watch. We like days with nothing on our schedule, and evenings alone watching six consecutive episodes of our favorite show. A night at home alone with the TV might not sound like fun to some people. And sure, we don’t mind the right kind of company for a night like that. But we don’t need company, and often we don’t want it. “Spiritual fun” sounds practically like an oxymoron. That’s because we’ve allowed [extroverted] people to take possession of the word “fun.” But it’s time to stake our claim to it, by identifying and owning the activities that give us genuine pleasure and refusing to let anyone tell us we don’t know how to have fun. 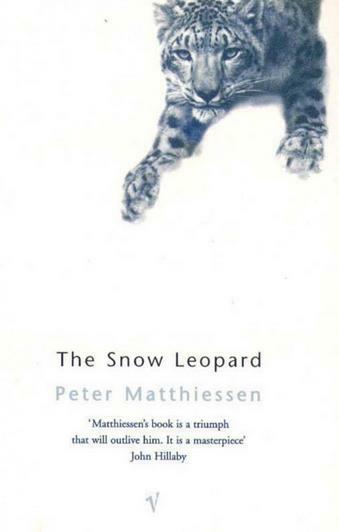 An excerpt from Peter Matthiessen’s The Snow Leopard, A National Book Award winner. In this excerpt, Peter Matthiessen writes about his Zen enlightenment experience and the death of his wife, Deborah Love, whom he affectionately calls D in the book. A year after her death, upon the invitation of the famous naturalist George Schaller, he travels to the Himalayas to seek for the snow leopard, which also becomes a metaphor for his spiritual journey as he searches for his True Self. The book, The Snow Leopard, is based on his five-week journey to the Himalayas. In November 1971, I attended a weekend retreat at the New York Zendo. All-day meditation in the lotus postures can be arduous, and D, who had been suffering for two months with mysterious pains, decided to limit herself to the Sunday sittings. On Saturday evening, when I returned to where we were staying, she opened the door for me; she was smiling, and looked extremely pretty in a new brown dress. But perhaps because I had been in meditation since before daybreak and my mind was clear, I saw at once that she was dying, and the certainty of this clairvoyance was so shocking that I had to feign emergency and push rudely into the bathroom, to get hold of myself so that I could speak. Already the Buddha-Being was dissolving, and I tried to convey gratitude, to inform It about D, but gave this up after a moment in the happy realization that nothing was needed, nothing missing, all was already, always, and forever known, that D’s dying, even that, was as it should be. Two weeks later, describing to Eido Roshi what had happened, I astonished myself (though not the Roshi, who merely nodded, making a small bow) by a spontaneous burst of tears and laughter, the tears falling light and free as rain in sunlight. One intuits truth in the Zen teachings, even those that are scarcely understood; and now intuition had become knowing, not through merit but — it seemed — through grace. The state of grace that began that early morning in the Zendo prevailed throughout the winter of D’s dying, an inner calm in which I knew just how and where to act, wasting no energy in indecision or regrets: and seemingly, this certainty gave no offense, perhaps because no ego was involved, the one who acted in this manner was not “I.” When I told the Roshi that I felt this readiness and strength, even a kind of crazy exaltation, he said quietly, “You have transcended.” I think he meant “transcended your ego,” and with it grief, horror, and remorse. As if awakened from a bad dream of the past, I found myself forgiven, not just by D but by myself, and this forgiveness strikes me still as the greatest blessing of my life. In those last months, it seemed that love had always been there, shining through the turbulence of waves, like the reflection of the moon in the Zen teachings; and love transformed the cruel and horrid face that cancer gives to death. One day, knowing she was dying, D remarked, “Isn’t it queer? This is one of the happiest times in all my life.” And another day, she asked me shyly what would happen if she should have a miraculous recovery — would we love each other still, and stay together, or would the old problems rise again to spoil things as before? I didn’t know, and that is what I said. We had tried to be honest, and anyway, D would not have been fooled. I shrugged unhappily, she winced, then we both laughed. In that moment, at least, we really understood that it didn’t matter, not because she was going to die but because all truth that mattered was here now. 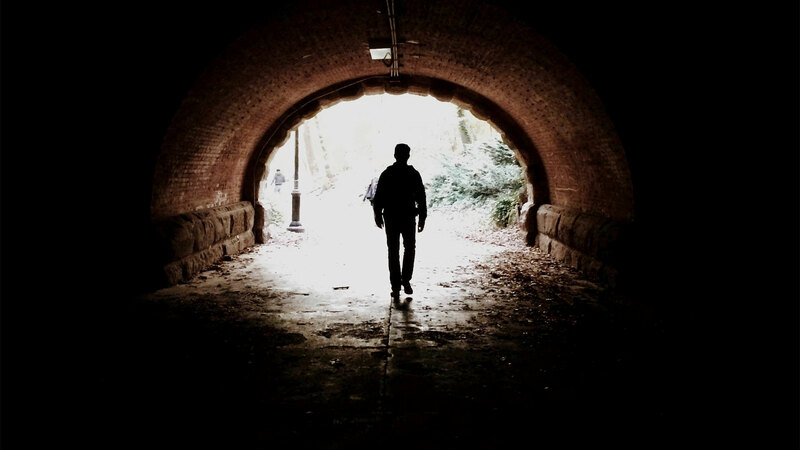 After D’s death, I wondered if the specter of remorse might overtake me. It never did. In the grayest part of the empty months that followed, my heart was calm and clear, as if all that bad karma of the past had been dissolved on that early morning of November. Toward that Presence who prepared me for D’s death I was filled with gratitude, quite different from the thankfulness I felt toward Eido Roshi and toward D, toward kind family and friends and children. It was not that I felt grateful to myself, yet the question seemed inescapable: where could that vast Smile reside if not in my own being? In chanting the Kannon Sutra in such desperation, I had invoked Avalokita, but I had been paying no attention to the words, only to D, who sat in the line of Buddha forms across the way. And so it was hard to identify Avalokita with that Presence unless He was also D, also myself — in short, what Meister Eckhardt meant: “The Eye with which I see God is the Eye with which God sees me.” Or Jesus Christ: “I and my Father are One.” Surely those Christian mystics spoke of the Lord-Who-is-Seen-Within. That year I was a new student of Zen, expecting nothing, and almost another year had passed before something said by an older student made me realize what had happened. I went to Eido Roshi, who confirmed it. But a kensho, or satori, is no measure of enlightenment, since an insight into “one’s True Nature” may vary widely in its depth and permanence: some may overturn existence, while others are mere tantalizing glimpses that “like a mist will surely disappear.” To poke a finger through the wall is not enough — the whole wall must be brought down with a crash! My own experience had been premature, and a power seeped away, month after month. This saddened me, although I understood that I had scarcely started on the path; that, but for D’s crisis, which had cut through forty years of encrustations, I might never have had such an experience at all; that great enlightenment was only born out of deep samadhi. In this period the invitation came to go on a journey to the Himalaya. Yes, this is crazy: I am sitting side-by-side with a prisoner who has just recently been allowed to join the general prison population after more than ten years in solitary confinement. We met in 2003 when I created the first-ever Shakespeare program in a solitary confinement unit and spent three years working together in that unit. 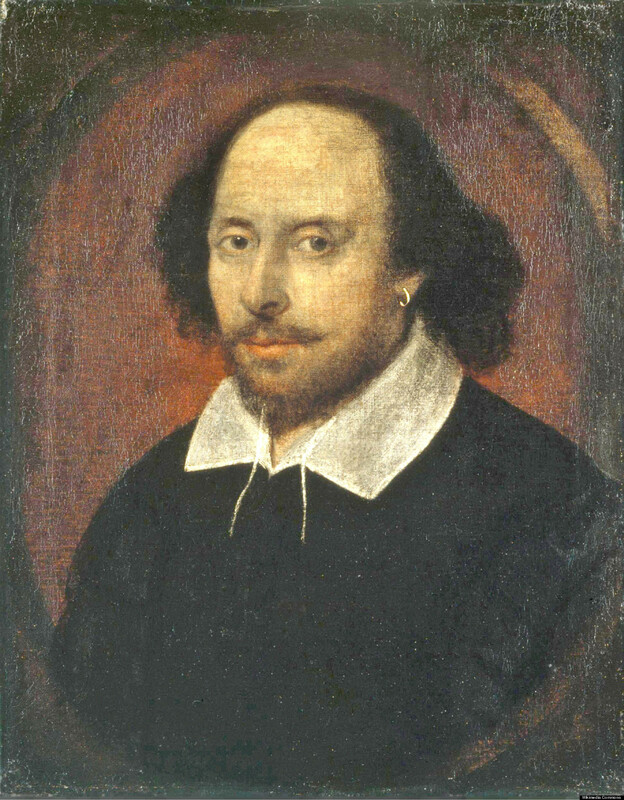 Now we have received unprecedented permission to work together, alone, unsupervised, to create a series of Shakespeare workbooks for prisoners. Larry Newton is gesticulating so animatedly that it draws the attention of an officer walking by our little classroom. He pops his head inside. A record ten and a half consecutive years in solitary confinement, and he’s not crazy, he’s not dangerous—he’s reading Shakespeare. That comment alone earned him a place in the program. Awareness of multiplicity of interpretation is the key to reading Shakespeare. Not bad for a fifth-grade drop-out. Wow. That was the most thoughtful response I had ever gotten to an initial Shakespeare assignment—in prison, or on campus. And Newton didn’t even know who Shakespeare was. Whenever a participant left the program, I distributed a little survey in which I asked, “What has Shakespeare done for you?”“It helped me to expand my mind,” Green had written. “It introduced me to a whole new world,” Jones had written. “It got me out of my cell,” Guido had written. My research confirmed that the program did have an effect: lessening the likelihood of violent incidents in a population with extensive histories of violence. I studied the conduct records of twenty of the most long-standing and active participants in the program and found that their combined conduct history accounted for more than 600 violent or Class A offenses, including weapons charges and assaults, in their “B.S.” (Before Shakespeare) years. During their time in the program, there were only two charges total: none of them were violent or Class A. In fact, of the hundreds of prisoners who have been in the program—some for months, some for years—not one violent offense was committed. When Larry was out of segregation, and we were able to have normal conversations sitting side by side, without a steel door between us, I wanted to ask him to elaborate on what he had written in that survey he had handed me when he left the SHU. It sounded like he was talking about suicide, but I couldn’t believe it—didn’t want to believe it. “And I meant it figuratively,” he continued. “Shakespeare offered me the opportunity to develop new ways of thinking through these plays. I was trying to figure out what motivated Macbeth, why his wife was able to make him do a deed that he said he didn’t want to do just by attacking his ego: ‘What, are you soft? Ain’t you man enough to do it?’ As a consequence of that, I had to ask myself what was motivating me in my deeds, and I came face to face with the realization that I was fake, that I was motivated by this need to impress those around me, that none of my choices were truly my own. Newton was the only prisoner I’ve ever met who was convicted as a juvenile and is serving life without parole. Through his work in the Shakespeare program, in college, in other prison programs and job assignments, as well as in his acceptance of responsibility in his crime, Larry consistently demonstrated evidence of rehabilitation for nearly ten years. But every request for the right to appeal his sentence was denied. No matter what he does, he will never leave prison. And you must be able to bear your sorrow; even if it seems to crush you, you will be able to stand up again, for human beings are so strong, and your sorrow must become an integral part of yourself; you mustn’t run away from it. Do not relieve your feelings through hatred, do not seek to be avenged on all Germans, for they, too, sorrow at this moment. Give your sorrow all the space and shelter in yourself that is its due, for if everyone bears grief honestly and courageously, the sorrow that now fills the world will abate. But if you do instead reserve most of the space inside of you for hatred and thoughts of revenge – from which new sorrows will be born for others – then sorrow will never cease in this world. And if you have given sorrow the space it demands, then you may truly say: life is beautiful and so rich. So beautiful and so rich that it makes you want to believe in God. When I was six or seven years old, growing up in Pittsburgh, I used to take a precious penny of my own and hide it for someone else to find. It was a curious compulsion; sadly, I’ve never been seized by it since. For some reason I always “hid” the penny along the same stretch of sidewalk up the street. I would cradle it at the roots of a sycamore, say, or in a hole left by a chipped-off piece of sidewalk. Then I would take a piece of chalk, and, starting at either end of the block, draw huge arrows leading up to the penny from both directions. After I learned to write I labeled the arrows: SURPRISE AHEAD or MONEY THIS WAY. I was greatly excited, during all this arrow-drawing, at the thought of the first lucky passer-by who would receive in this way, regardless of merit, a free gift from the universe. But I never lurked about. I would go straight home and not give the matter another thought, until, some months later, I would be gripped again by the impulse to hide another penny. It is still the first week in January, and I’ve got great plans. I’ve been thinking about seeing. There are lots of things to see, unwrapped gifts and free surprises. The world is fairly studded and strewn with pennies cast broadside from a generous hand. But—and this is the point—who gets excited by a mere penny? If you follow one arrow, if you crouch motionless on a bank to watch a tremulous ripple thrill on the water and are rewarded by the sight of a muskrat kit paddling from its den, will you count that sight of a chip of copper only, and go your rueful way? It is dire poverty indeed when a man is so malnourished and fatigued that he won’t stoop to pick up a penny. But if you cultivate a healthy poverty and simplicity, so that finding a penny will literally make your day, then, since the world is in fact planted in pennies, you have with your poverty bought a lifetime of days. It is that simple. What you see is what you get. I used to be able to see flying insects in the air. I’d look ahead and see, not the row of hemlocks across the road, but the air in front of it. My eyes would focus along that column of air, picking out flying insects. But I lost interest, I guess, for I dropped the habit. Now I can see birds. Probably some people can look at the grass at their feet and discover all the crawling creatures. I would like to know grasses and sedges—and care. Then my least journey into the world would be a field trip, a series of happy recognitions. Thoreau, in an expansive mood, exulted, “What a rich book might be made about buds, including, perhaps, sprouts!” It would be nice to think so. I cherish mental images I have of three perfectly happy people. One collects stones. Another—an Englishman, say—watches clouds. The third lives on a coast and collects drops of seawater which he examines microscopically and mounts. But I don’t see what the specialist sees, and so I cut myself off, not only from the total picture, but from the various forms of happiness. Unfortunately, nature is very much a now-you-see-it, now-you-don’t affair. A fish flashes, then dissolves in the water before my eyes like so much salt. Deer apparently ascend bodily into heaven; the brightest oriole fades into leaves. These disappearances stun me into stillness and concentration; they say of nature that it conceals with a grand nonchalance, and they say of vision that it is a deliberate gift, the revelation of a dancer who for my eyes only flings away her seven veils. For nature does reveal as well as conceal: now-you-don’t-see-it, now-you-do. For a week last September migrating red-winged blackbirds were feeding heavily down by the creek at the back of the house. One day I went out to investigate the racket; I walked up to a tree, an Osage orange, and a hundred birds flew away. They simply materialized out of the tree. I saw a tree, then a whisk of color, then a tree again. I walked closer and another hundred blackbirds took flight. Not a branch, not a twig budged: the birds were apparently weightless as well as invisible. Or, it was as if the leaves of the Osage orange had been freed from a spell in the form of red-winged blackbirds; they flew from the tree, caught my eye in the sky, and vanished. When I looked again at the tree the leaves had reassembled as if nothing had happened. Finally I walked directly to the trunk of the tree and a final hundred, the real diehards, appeared, spread, and vanished. How could so many hide in the tree without my seeing them? The Osage orange, unruffled, looked just as it had looked from the house, when three hundred red-winged blackbirds cried from its crown. I looked downstream where they flew, and they were gone. Searching, I couldn’t spot one. I wandered downstream to force them to play their hand, but they’d crossed the creek and scattered. One show to a customer. These appearances catch at my throat; they are the free gifts, the bright coppers at the roots of trees. It’s all a matter of keeping my eyes open. Nature is like one of those line drawings of a tree that are puzzles for children: Can you find hidden in the leaves a duck, a house, a boy, a bucket, a zebra, and a boot? Specialists can find the most incredibly well-hidden things. A book I read when I was young recommended an easy way to find caterpillars to rear: you simply find some fresh caterpillar droppings, look up, and there’s your caterpillar. More recently an author advised me to set my mind at ease about those piles of cut stems on the ground in grassy fields. 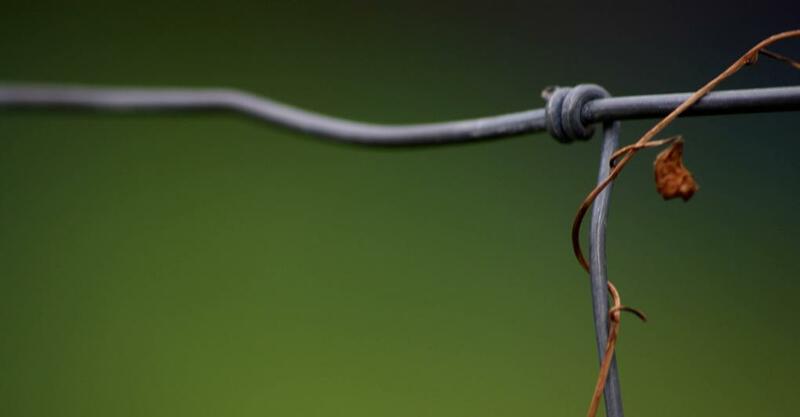 Field mice make them; they cut the grass down by degrees to reach the seeds at the head. It seems that when the grass is tightly packed, as in a field of ripe grain, the blade won’t topple at a single cut through the stem; instead, the cut stem simply drops vertically, held in the crush of grain. The mouse severs the bottom again and again, the stem keeps dropping an inch at a time, and finally the head is low enough for the mouse to reach the seeds. Meanwhile, the mouse is positively littering the field with its little piles of cut stems into which, presumably, the author of the book is constantly stumbling. But the artificial obvious is hard to see. My eyes account for less than one percent of the weight of my head; I’m bony and dense; I see what I expect. I once spent a full three minutes looking at a bullfrog that was so unexpectedly large I couldn’t see it even though a dozen enthusiastic campers were shouting directions. Finally I asked, “What color am I looking for?” and a fellow said, “Green.” When at last I picked out the frog, I saw what painters are up against: the thing wasn’t green at all, but the color of wet hickory bark. The lover can see, and the knowledgeable. I visited an aunt and uncle at a quarter-horse ranch in Cody, Wyoming. I couldn’t do much of anything useful, but I could, I thought, draw. So, as we all sat around the kitchen table after supper, I produced a sheet of paper and drew a horse. “That’s one lame horse,” my aunt volunteered. The rest of the family joined in: “Only place to saddle that one is his neck”; “Looks like we better shoot the poor thing, on account of those terrible growths.” Meekly, I slid the pencil and paper down the table. Everyone in that family, including my three young cousins, could draw a horse. Beautifully. When the paper came back it looked as though five shining, real quarter horses had been corralled by mistake with a papier-mâché moose; the real horses seemed to gaze at the monster with a steady, puzzled air. I stay away from horses now, but I can do a creditable goldfish. The point is that I just don’t know what the lover knows; I just can’t see the artificial obvious that those in the know construct. The herpetologist asks the native, “Are there snakes in that ravine?” “Nosir.” And the herpetologist comes home with, yessir, three bags full. Are there butterflies on that mountain? Are the bluets in bloom, are there arrowheads here, or fossil shells in the shale? A fog that won’t burn away drifts and flows across my field of vision. When you see fog move against a backdrop of deep pines, you don’t see the fog itself, but streaks of clearness floating across the air in dark shreds. 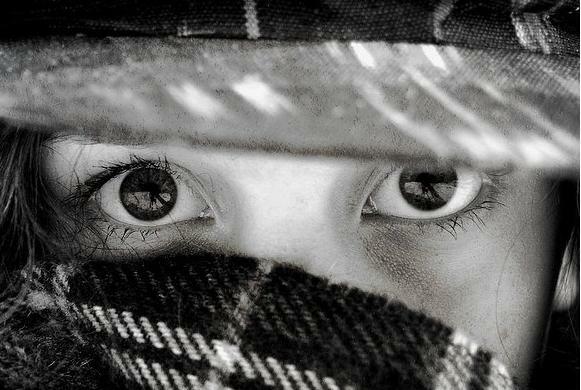 So I see only tatters of clearness through a pervading obscurity. I can’t distinguish the fog from the overcast sky; I can’t be sure if the light is direct or reflected. Everywhere darkness and the presence of the unseen appalls. We estimate now that only one atom dances alone in every cubic meter of intergalactic space. I blink and squint. What planet or power yanks Halley’s Comet out of orbit? We haven’t seen that force yet; it’s a question of distance, density, and the pallor of reflected light. We rock, cradled in the swaddling band of darkness. Even the simple darkness of night whispers suggestions to the mind. Last summer, in August, I stayed at the creek too late. I tell my students, “Never sell your soul to the Man.” By that I mean, be your own person and never, ever let someone else own you, or control your life. The danger, of course, is that you get on a slippery slope where you enjoy the money, power, and recognition for what you’re doing, but it doesn’t stir your passions. If you follow that course, you may wake up some day and find yourself so far away from the real you – and what you really want to do with your life – that you feel trapped, in a box, and don’t have the courage to give it all up and do what you want to do. Ten years later, you ask whatever happened to the person who dreamed the impossible dream? 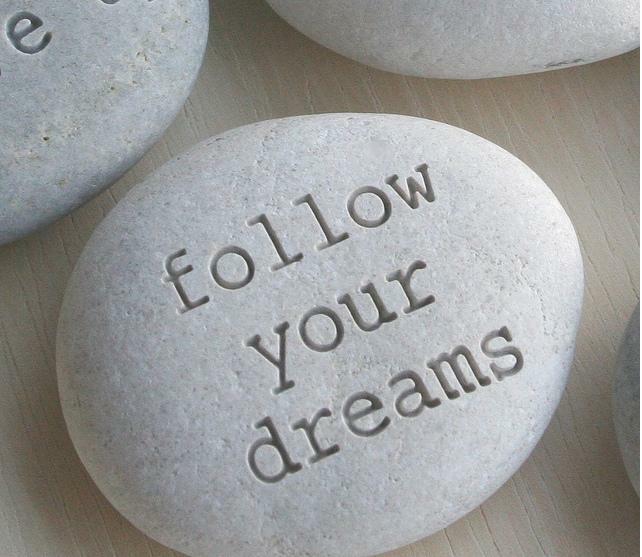 I’ve dreamed that impossible dream many times in completely different situations. At first, I feel like I am climbing through solid rock; but if I stay the course, the dream not only comes true but goes far beyond anything I ever imagined. . .